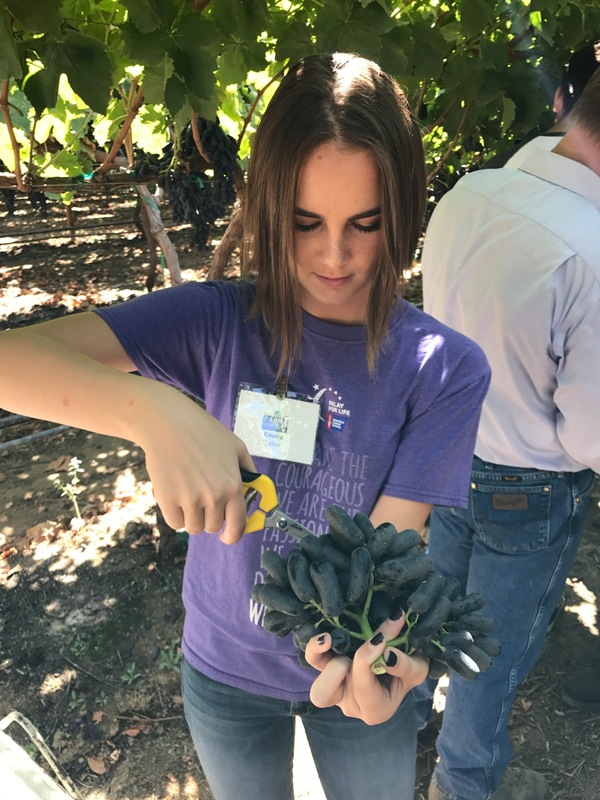 Kern County FARMS Leadership student learning about developing and growing new grape varietals from the Grappery. Farm Credit donated $10,000 to Land-Based Learning’s California Farm Academy program which offers a seven-month training program for adults interested in becoming farmers, and another $5,000 to the Farming, Agriculture, and Resource Management for Sustainability Leadership Program (FARMS), which introduces high school students to college and career opportunities in agriculture, especially in the STEM fields of science, technology, engineering and math. The involved Farm Credit organizations — American AgCredit, CoBank, Farm Credit West, Fresno-Madera Farm Credit and Golden State Farm Credit – are customer-owned associations supporting rural communities and agriculture with reliable, consistent credit and financial services. Leili Ghazi, president of CoBank’s Western Region Agribusiness Banking Group, said the contributions are part of Farm Credit’s ongoing efforts to enhance agriculture in California and the West. 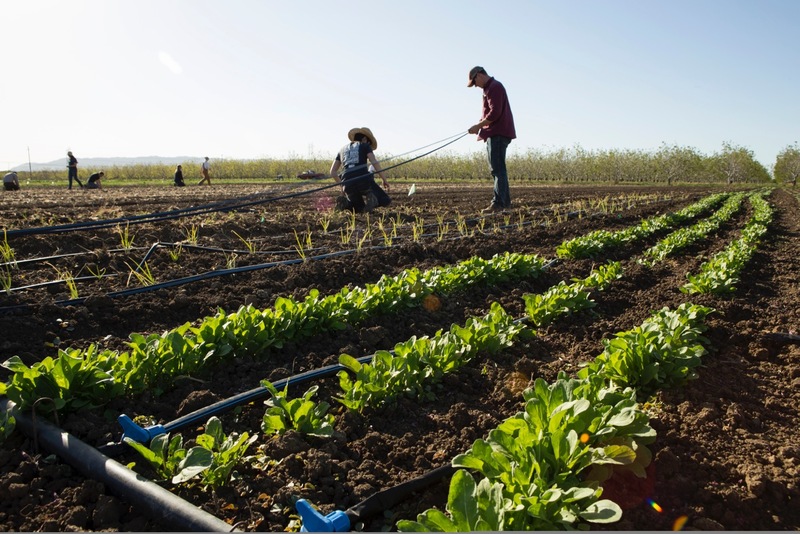 California Farm Academy training program students laying drip irrigation in the student field. Christine McMorrow, the Winters-based Center’s director of development and communications, said the ongoing Farm Credit contributions have helped enable the Center to grow and expand. Farm Credit funding helps provide tuition assistance for the Farm Academy – the program costs $4,000 a year – and also helps with an intensive tractor driving and maintenance program. Earlier this year, the program expanded its offerings when it received state certification for its new Beginning Farm and Ranch Manager Apprenticeship Program, which requires 250 hours of coursework and 3,000 hours of paid on-the-job training on a farm under the mentorship of a seasoned farmer. The FARMS Leadership program was Land-Based Learning’s first program, launched in 1993. It encourages high school students in 16 counties to get hands-on experience on farms and ranches and to consider making ag a career. Many of the students are the first generation in their families to attend college, and many in fact are the sons and daughters of farmworkers. “Their parents tell them to get out of agriculture, go to college and get a good job. We encourage them to get a good job in agriculture,” McMorrow said.